We have forms on our website that you can download and print at the comfort of your home. Your Eye Doctor in Parkesburg, PA. Call us at (610) 347-5329 today. Welcome to Crystal Clear Eyecare in Parkesburg. Dr. David Sulak and the Crystal Clear Eyecare team strive to provide the finest in eye care services. We invite you to browse our website to learn more about our eye care services, and invite you to join our patient family by scheduling an eye exam appointment at our Parkesburg office. On Business Route 30 just 2 miles east of Route 10, our store is centrally located between Coatesville and Parkesburg just 1.9 miles east of the Walmart/Home Depot shopping center on Business Route 30. You can call us at (610) 347-5329. See what other folks are saying about Crystal Clear Eyecare. Complete eye care. Near Parkesburg. We provide a full range of vision care and welcome patients of all ages and need in search of state-of-the-art eye glasses and contact lenses. Dr. David Sulak O.D. is the eye doctor at Crystal Clear Eyecare. He has over 10 years experience and is widely known in the area. With a highly trained staff and state of the art equipment, you'll experience crystal clear vision. 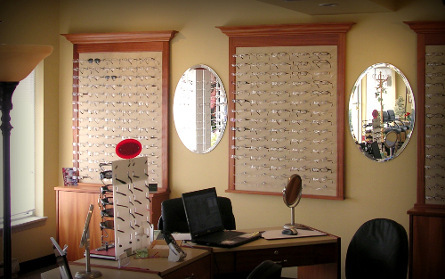 If you're looking for an eye doctor near Coatesville, PA, you've come to the right place. Serving Parkesburg, Coatesville, Sadsburyville, Cochranville, Honey Brook, Gap PA, Atglen, Christiana, Narvon, Glenmoore PA and the surrounding area. At Crystal Clear Eyecare, we are dedicated to providing high-quality vision care services in a comfortable environment. Call us at (610) 347-5329 or schedule an appointment today online. Call us at (610) 347-5329 or sign-up using the form below to take advantage of this exclusive offer. We now carry Drivewear Lens - state of the art sunlens designed with driver in mind.